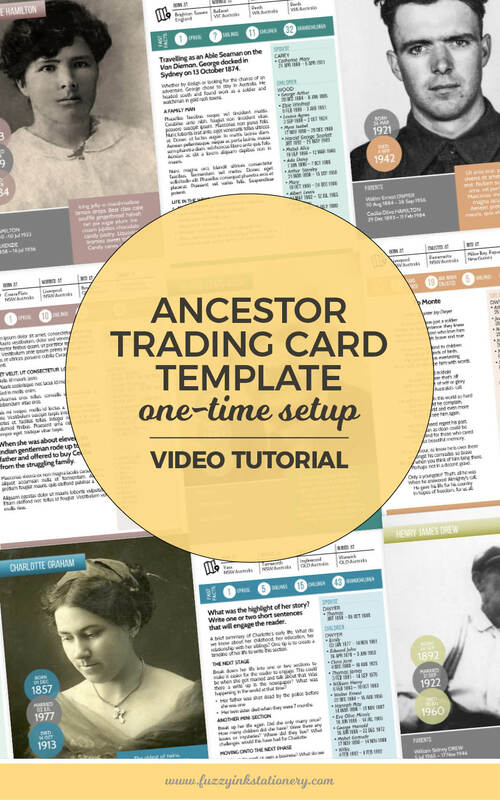 It’s been an exciting week for me because I have added the first Ancestor Trading Card template to my Etsy store. The template is one of a series of trading card designs. So watch this space for news on other versions over the next couple of months. 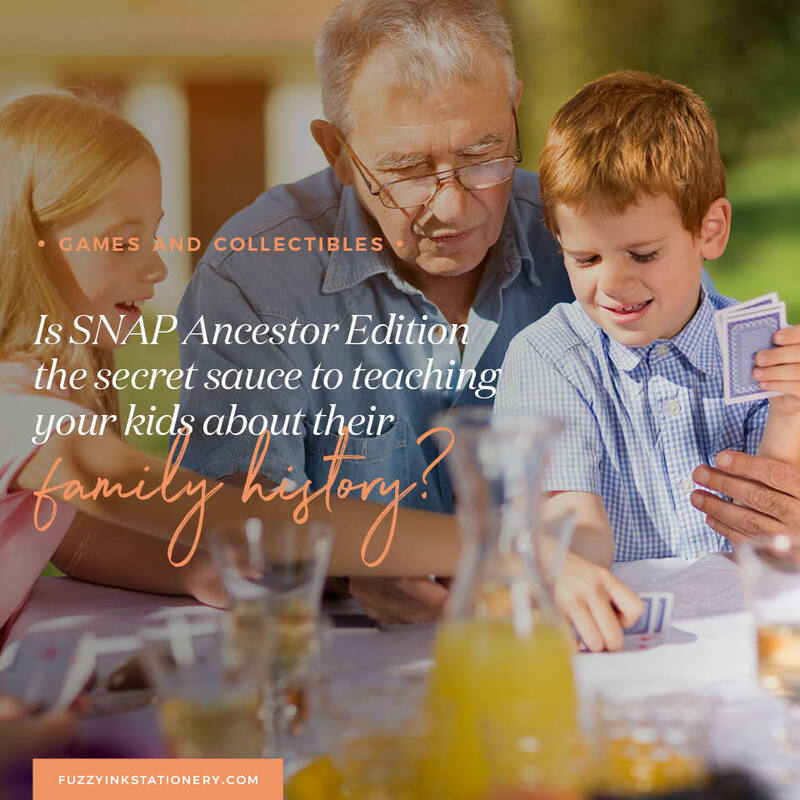 easy it is to customise the template to build unique decks for your family story. Not a problem because I thought about that too. Obviously, the videos will be super helpful if you have purchased the file. Or you want to but aren’t sure if it is easy-to-use. But if not then it’s a great insight into my processes. 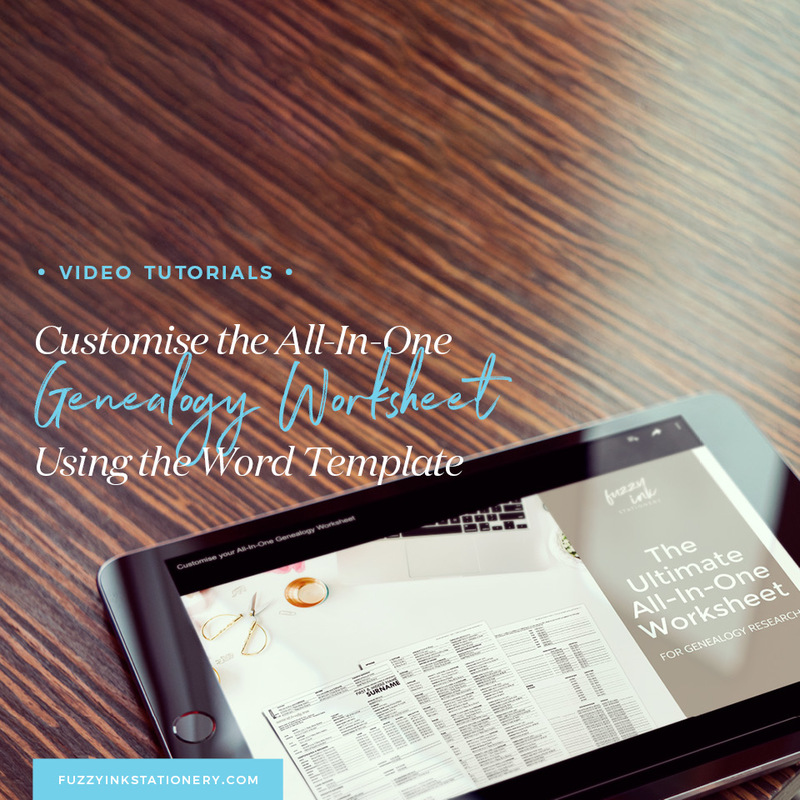 PLUS you’ll learn some handy PowerPoint and PDF tips along the way. 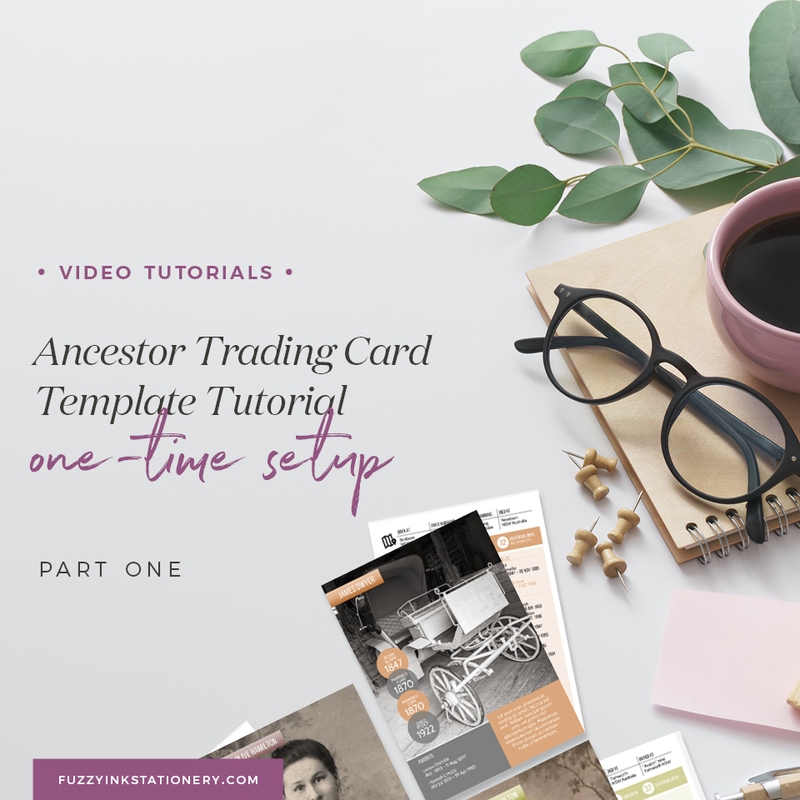 And who knows, maybe I’ll inspire you to get creative and put together your own Ancestor Trading Card designs! Now let me run you through the one-time setup. What do you think about the idea of Ancestor Trading Cards? How do you feel about it as a form of storytelling? 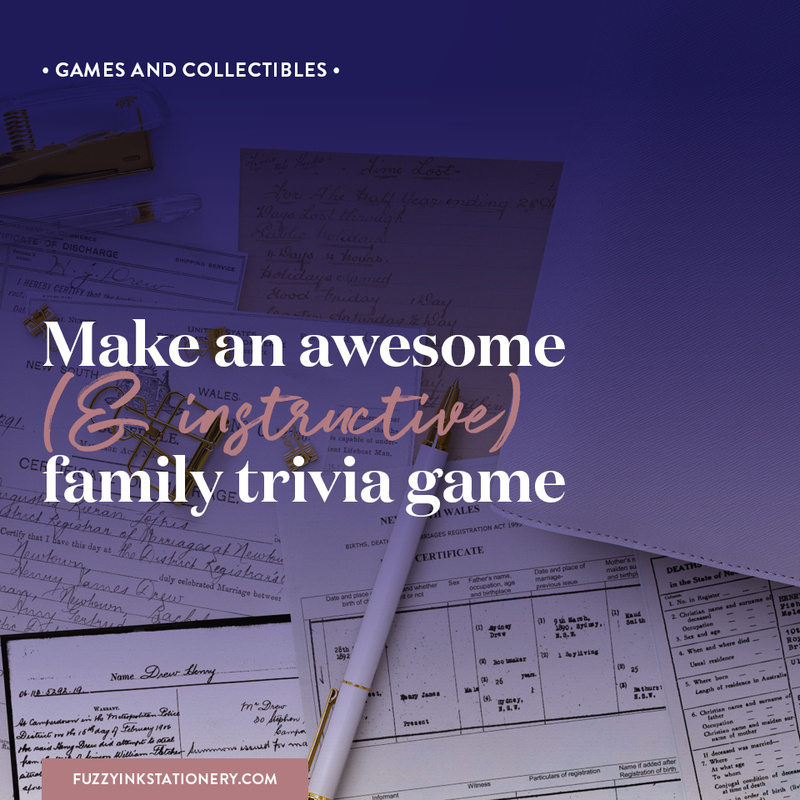 Would you create a deck for your relatives or a family reunion? Or maybe you’ve already created something similar? I’d love to see it if you want to share a photo and hear about your creative journey. 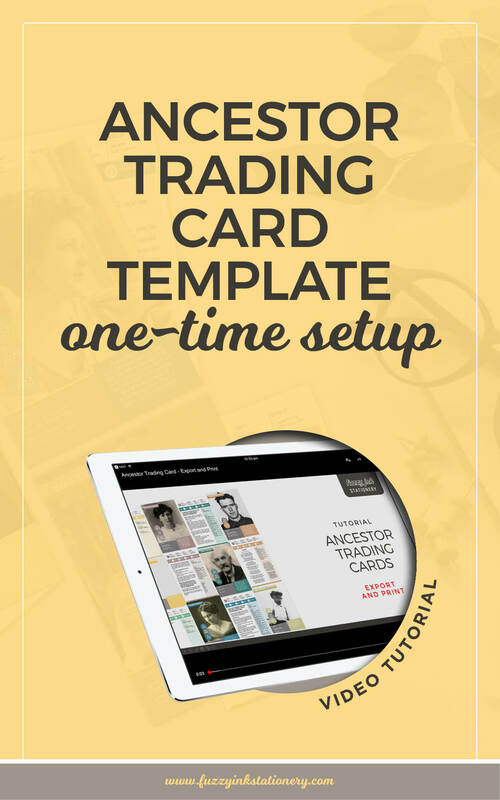 Hi Cheryl – Yes, the Ancestor Trading Card template will work on a Mac. You will need a recent copy of Microsoft PowerPoint to use it. The only thing that may happen is that the fonts may need to be switched. I do include instructions on how to do that but can talk you through the process if you need it. If you do have issues, just email me a screenshot of the problem and I’ll help you resolve it. If it can’t be resolved then I’ll refund your money. 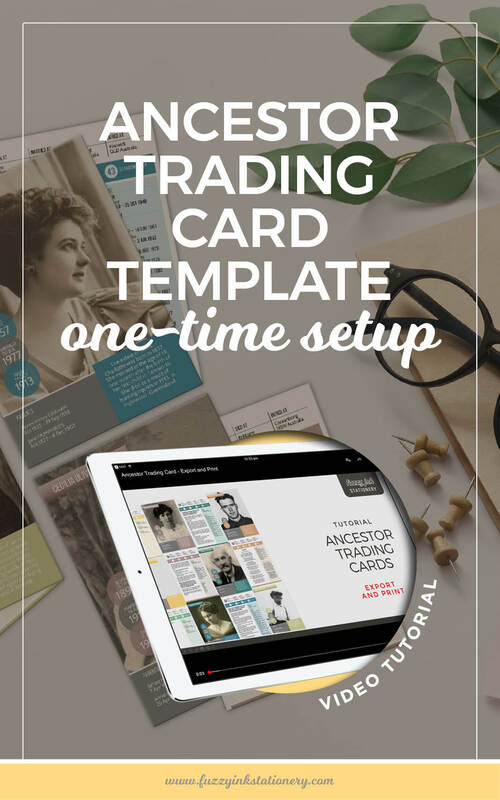 Love the idea of Ancestor Trading Cards. As an unexperienced user I found it hard to follow your instructions. It would be helpful if the presentation did not move so quickly. I had a hard time following the cursor and finding the example you were talking about. Thanks for the feedback Suzi. I worry about the tutorials being too long, so I was rushing through it. I do have plans to redo all the videos and break them up to match the PDF guide so it’s easier to follow. If you receive the emails, I’ll announce that there and also send a message to everyone who purchased the templates. 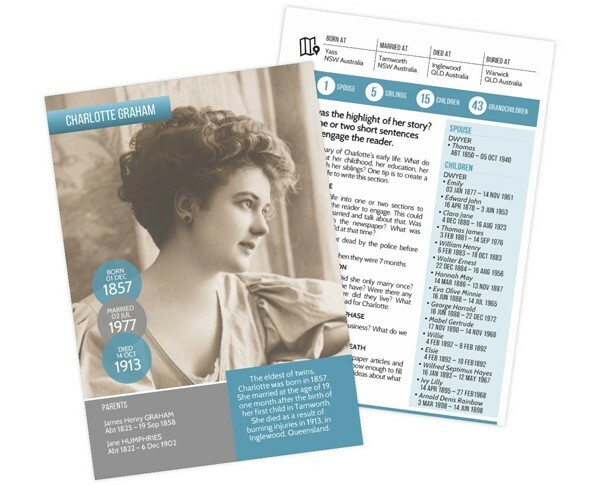 Also, Charlotte (in your sample card) lived an interesting life! Looks like she was married 64 years after she died !?!? For those who do not have access to Microsoft Power Point you can download Open Office for free which has a power point and word format. It works with Microsoft also. b) I’m unable to provide support as the file hasn’t been tested so if there are problems or issues then you are on your own. 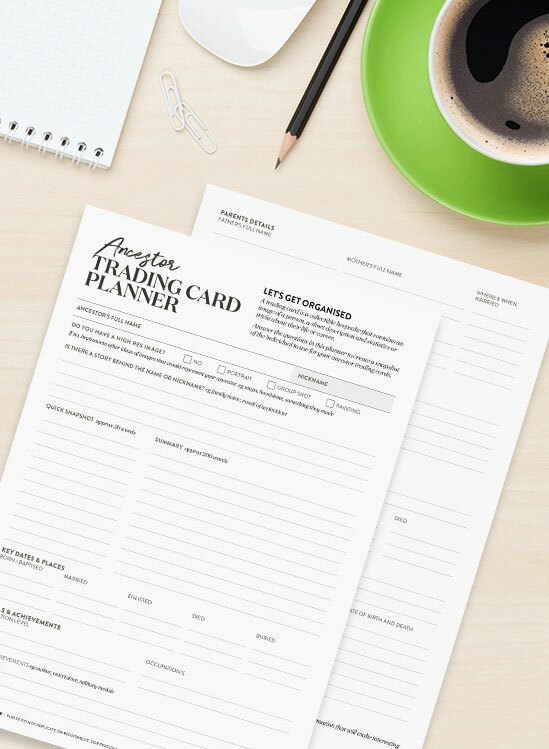 If you’d like to templates available for a wider range of software then drop me a request. Let me know the name of the template and what software you want to use it with and I’ll see what I can do.